The humble desktop phone has reached lofty heights. 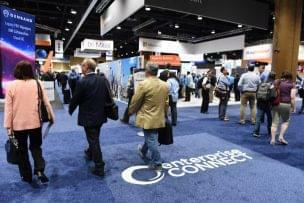 Phones are no longer just about “voice.” They are about HD “voice” and “video.” In fact, many high-end IP Phones are efficient tools for a converged communications experience. The eight phones listed here are among the most feature-packed, futuristic business class IP Phones on the market. They deftly incorporate voice and video and they also offer integrated features for working with mobile phones, video surveillance and other applications. Yes, they are pricey, but for the most demanding executive who wants the best handset for converged communications, nothing less will do. Cisco does not call a phone of this caliber a mere phone. Instead, it’s a “collaboration endpoint.” The 9971 has a VGA color touch screen display. The 5.6-inch display has a 24-bit color depth and a 640 x 480 effective pixel resolution, with backlight. H.264 video support for 2-way standard definition calling with USB support for the Cisco Unified IP Camera is another video highlight. 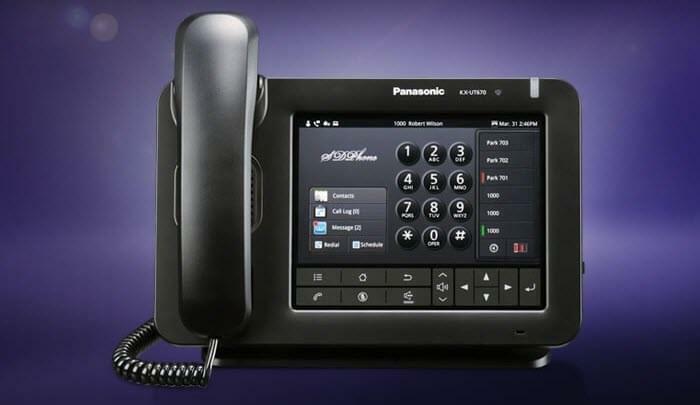 This phone not only has a full VoIP feature set including support for up to six lines, it has applications such as a VPN client, QoS reporting that displays jitter, delay, dropped packets and latency on a per-call basis and supports XML applications provided by Cisco’s partners or customers’ own development staff. The phone is available in charcoal gray or white. The SPA525G2 has a graphics-rich, high-resolution 3.2-inch QVGA 320 x 240 color screen. It also can be used for video surveillance: Its MonitorView feature allows monitoring up to four video surveillance cameras from this phone. This is the ultimate multimedia phone. It plays MP3s, can operate as a digital photo frame and you can use it to access RSS feeds. It connected via Gigabit Ethernet, Wi-Fi or PoE. 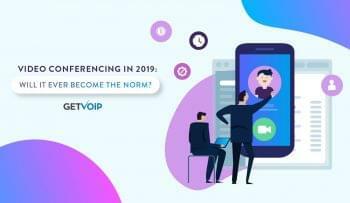 It also has an SSL VPN client that allows remote users to securely connect to their phone system and make calls over the Internet, without the need for additional hardware. Grandstream’s GXP2160 is a Linux-based phone. This is a 6-line phone with a 4.3-inch color LCD. It doesn’t have video integration but the LCD can display information such as news, weather, currency rates and RSS feed support is pending. The GXP2160 has dual Gigabit Ethernet ports with PoE and supports Bluetooth accessories. 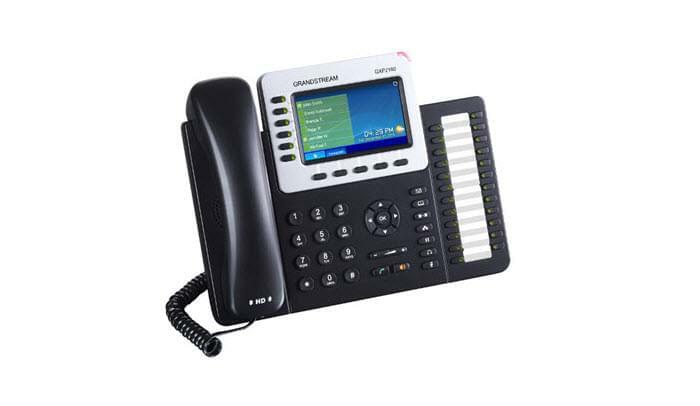 The GXV3275 is Grandstream’s premier IP phone. It’s a phone, a video conference solution and an Android tablet. The GXV3275 supports up to six lines. It can be used with a free IPVideoTalk account which includes video mail, six-way audio conferencing, three-way video conferencing, a phonebook with up to 1,000 contacts and a call history with up to 1,000 records. The display is a seven-inch capacitive 1024×600 touch screen with a mega pixel camera (with a privacy shutter). Additionally, the phone runs the Android Jelly Bean operating system and you can access and download apps from Google Play. Mitel’s MiVoice Video Phone is a head-turning device perfect for the high-tech conference room. 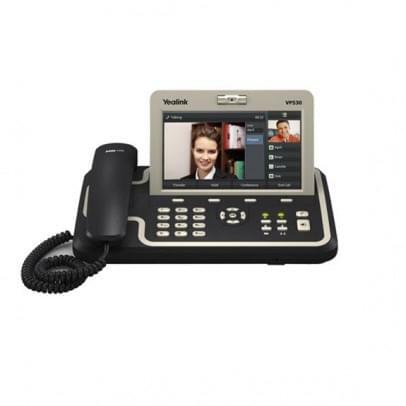 The MiPhone allows you to make videoconference calls without need of a third-party service. Picsel SmartOffice Suite is embedded, letting you view and edit Microsoft Office and PDF files during meetings. An embedded Web browser allow users to access Gmail and Exchange for quick access to contacts. Multimedia can be sent to remote parties via a video stream. 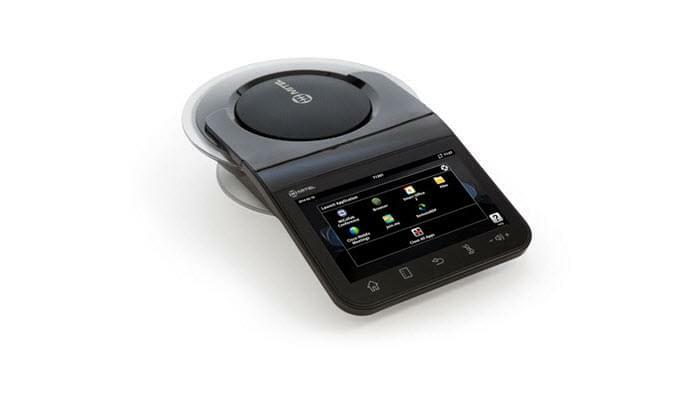 The MiVoice has a built-in high-resolution seven-inch color touch-screen display with full multimedia support and in-room presentation display capabilities. Panasonic’s KX-UT60 features a 7-inch color touch panel LCD. Supporting up to six SIP accounts, high-definition voice, three-way conference call, the KX-UT60 is built with Linux and its open-source APIs allow businesses to build applications to customize the phone for specific business needs. 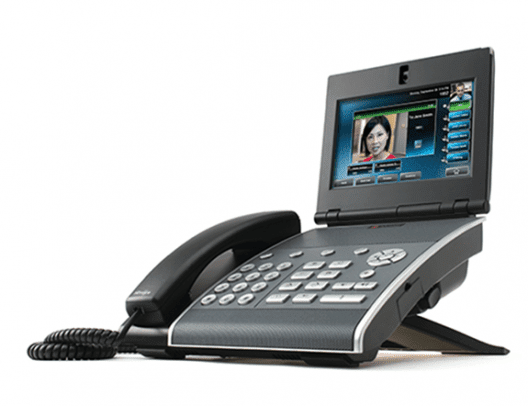 Polycom’s VVX 1500D offers the full Polycom experience. 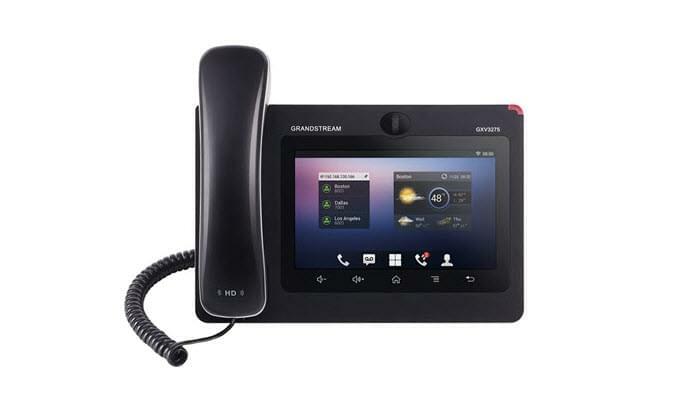 It uses Polycom’s HD voice and supports a number of Polycom apps such as Polycom Productivity Suite, Polycom My Info Portal and Digital Photo Frame. The camera base adjusts so that you have eye-level contact with remote attendees during videoconferences. The VVX 1500D is a six-line phone with a color, touch screen. 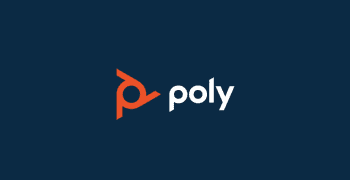 To customize even more, the Polycom API is available to integrate with third-party applications. 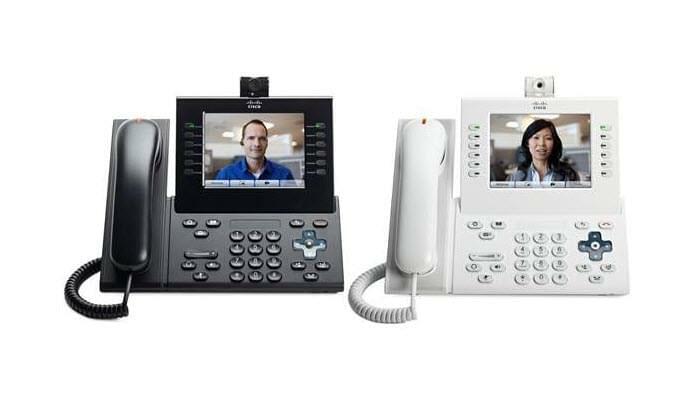 Yealink’s VP530 has full video features including a door phone application so you can view office visitors. The phone has a seven-inch, 800×480 digital touch screen LCD. It supports 720×480 video, @30FPS. Other video features include three-way video conferencing, Picture-in-Picture (PIP), full screen for remote side and video control of local side. 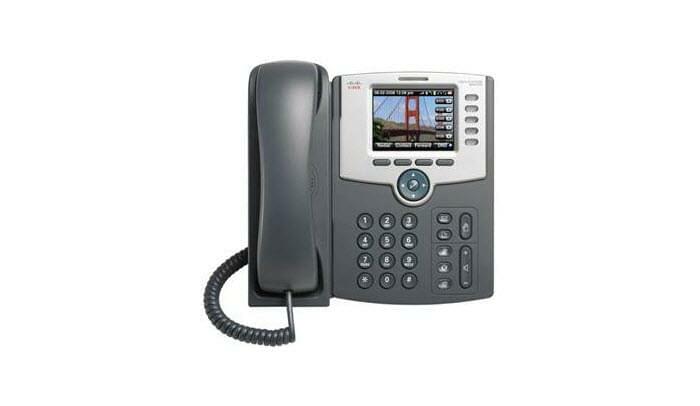 The VP530 supports up to four VoIP accounts and has a full-duplex speakerphone.